More than two years ago, Chicago banned smoking in public buildings as part of the Chicago Clean Indoor Air Ordinance. Why then were my eyes burning from heavy cigarette smoke while innocently sitting in my office yesterday? I wasn’t the only one working late. The neighboring tenant, a commercial cleaning company, had their lights on and their cigarettes lit up. When the smoke-free ordinance passed, all the smokers in the Chicagoland area did not disappear. It merely shifted the location of their activities. Most building owners stopped worrying about environmental tobacco smoke (ETS), checking it off their list of concerns. 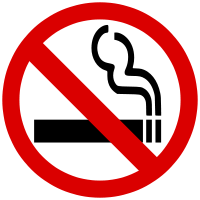 However, without a dedicated area for smoking, people may chose a location convenient for them and inconvenient for other occupants.